November was busy. Needless to say, I am yet another apologetic blogger to use the good ol’ “sorry I haven’t posted” line… However, Postself headquarters is busting with lots of self-reflexive activity as the Fbook interface continues to provide many opportunities for dialogue and critique. 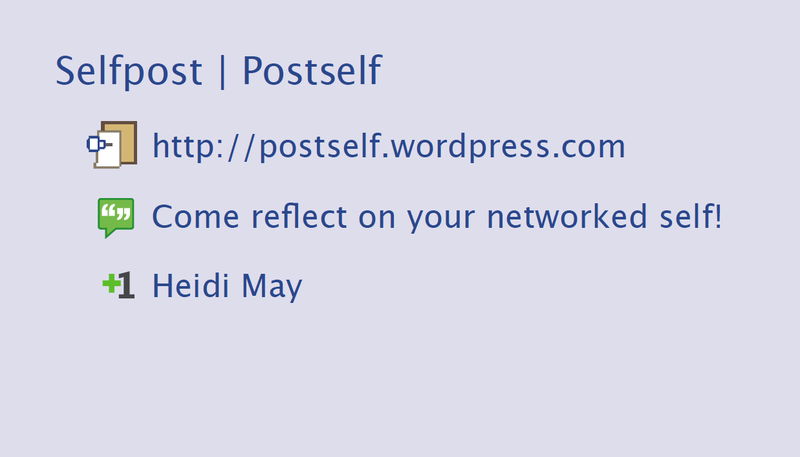 For those of you who have digital profiles meshed within FB, you may want to catch up on the insightful interaction that occurs in our satellite location > http://www.facebook.com/postself < where relevant links and videos are being shared by fellow Postselfers. Although I’ve been consumed with many tasks, I continue to live up to my manifesto on a daily basis. In fact, I am now finding that I tend to use Fbook as a strange kind of coping mechanism that contrasts what I am faced with on my other screen. At home, I work with a double screen set-up and I often go back and forth to Fbook when confronted with difficult work, the same way I venture to the kitchen for snacks. I also continue to maintain and archive my Postself “list” of anything and everything to revisit and expand upon later. Just this past week, several topics have made the blogosphere and entered into our FB portal discussions — namely, the cartoon profile campaigns that have popped up and emotional reactions to the new FB layout changes — plenty food for thought. Speaking of archived lists….for some time now, I’ve been wanting to post about our relationship to Facebook as a digital archive — an archived database that is connected to and integrated within all of the other networked social media applications we use, such as Flickr, Twitter, Vimeo, Youtube, Tumblr, etc. For instance, I will often find myself ‘sharing’ something just to have the link made readily available in my profile and just in case one of my friends posts something in response that triggers an idea or another resource to follow up on. Because it seems I’m on Fbook so much, I tend to search through my archived links rather than venturing over to my delicious account. The centerpiece of the collection, in many ways, is the Dymaxion Chronofile, an exhaustive journal of Fuller’s trajectory from 1920 until his death in 1983. Fuller had been collecting clippings and artifacts since he was a child. 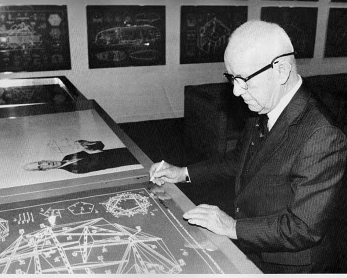 But in 1917, he began a formal chronological file which he would later call the Dymaxion Chronofile. The Chronofile was a vast scrapbook that included copies of all his incoming and outgoing correspondence, newspaper clippings, notes and sketches, and even dry cleaning bills. Initially, the Chronofile was bound into handsome leather-backed volumes. In later years, to save space and expenses, the Chronofile was simply stored in boxes. By the end of his life, this exhaustive “lab notebook” of his life’s experiment amounted to 270 linear feet. Fuller intended for the Chronofile to be a case study of his life in context, in which his daily activities were presented in parallel with developments in technology and society. In it, he at once traced the evolution of his own thoughts, relationships, and business ventures; and documented new inventions, trends, and technologies that were emerging on the broader level. 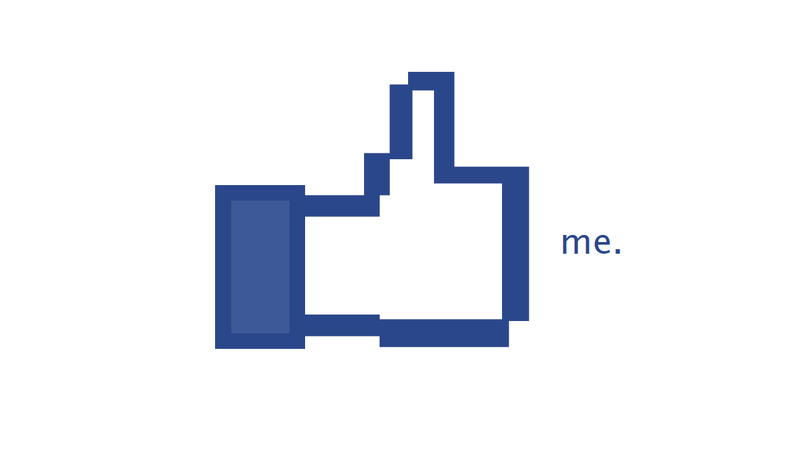 There’s already applications being produced that allow for FB interactions to be archived in books. Which makes me wonder how we might “selfpost” differently if we knew there was the potential of our digital identities to be preserved not only on paper but bound within a book.